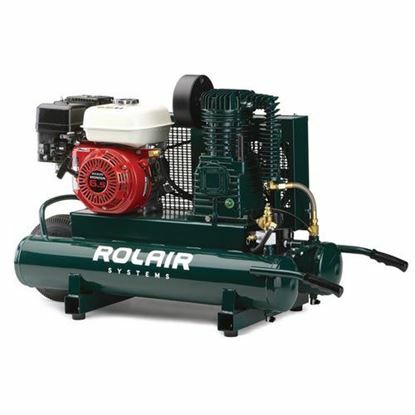 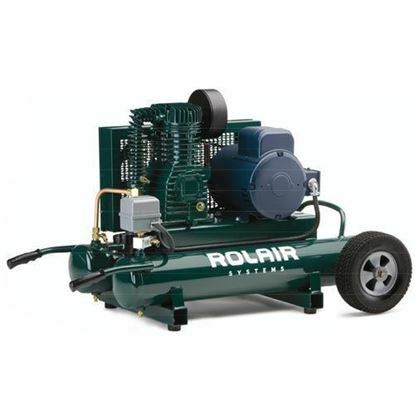 This RolAir electric air compressor features a heavy duty and single stage pump. 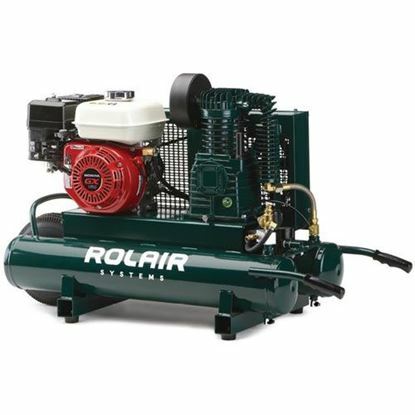 The pump also includes a cast-iron and twin cylinder tank. 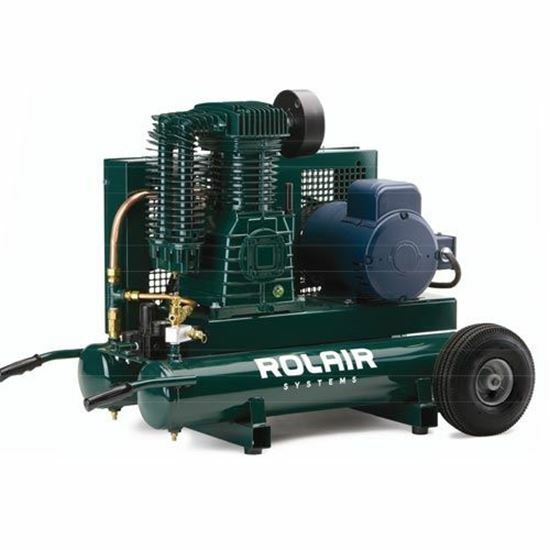 The compressor also includes ball bearings, is splash lubricated, and has cast iron valve plates with Swedish Lamellar reed valves. 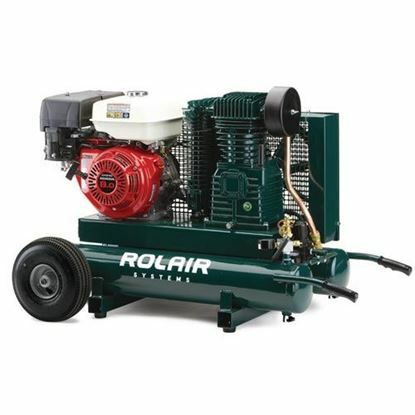 The connecting rods are made of aluminum alloy, and has automotive style inserts.